Right click to download the mp3 to your desktop. Influencer marketing - what is it? How does it work? Is it only for big businesses with bigger budgets? 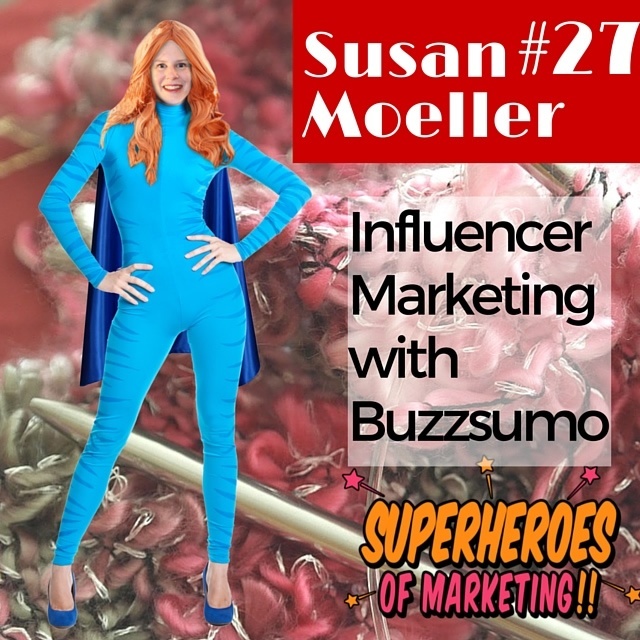 Find out how any business can put influencer marketing to work for them today with superhero of marketing Susan Moeller of Buzz Sumo. Remember last time someone told you "all the cool kids are doing it"? When it was real-life cool kid, you probably believed them - and maybe you tried it, too (just say no!). Well, in influencer marketing, a business gets someone with an engaged following to talk about their product or service to their audience who trusts them. BuzzSumo identifies an influencer as someone who averages two or more retweets per tweet. It may not seem like a lot, but look at your Tweets - do you average two retweets each? It's actually a fairly high standard. Who is Using Influencer Marketing? Downy did this with their #softside campaign. Their campaign was more of a User Generated Content campaign, but it has a similar effect when actual users (as opposed to the CEO) are talking about a product. Trust is built and invaluable marketing materials gathered. The Frugal Girl has published paid posts and uses affiliate links on her blog, too. These are often for smaller businesses. She always makes it very clear that there is some commercial interest involved. The FTC would approve. What is Bad Influencer Marketing? As you may now, I'm a huge fan of both The Marketing Companion podcast and its two hosts, Mark Schaefer and Tom Webster. They recently had an episode about influencer marketing that shocked me. Apparently, some advertising agencies are selling "influencer marketing" to large companies that involves having armies of Twitter and Facebook users sharing pointless product-related links with their followers and/or gathering meaningless (ie. random strings of letters) comments on their social media updates. The agency can then go back to the client and boast about the myriad tweets or hundreds of Facebook comments ("engagement") generated. What they leave out, however, is that the people sharing this material have no interest in or relevance to the product or service - nor do their followers. They are in it for coupons and samples. What a farce!!! It is amazing to me that large companies could NOT know what is going on or would not be asking for real numbers and actual results. Shame on these agencies for taking advantage, but really, the people with the money should know what is going on. "Bad" influencer marketing could also be not disclosing a financial incentive for your content, or getting paid to write positive reviews. The FTC has no patience for such things, so don't do it! BuzzSumo helps you find influencers on Twitter. One way to do that is to find people who are sharing your competitor's content. Look at who is linking to the content and sharing it on social. You can look at it on a domain level or at one particular piece of content or look by keyword and then you can sort by social platform. So, if Pinterest is big for you, look for bloggers whose content is share a lot on Pinterest! You can also find bloggers and journalists who might write about your content. Listen in to get the exact steps Susan took to get people to notice her new series on the most shared digital newspapers. Key is having something to add to the conversation. Plan ahead. Develop an audience of influencers long before you need them. Twitter is a great place to reach out. Follow people, find out what people like to share. Share their content and find out what interests them. Tweet to them and get to know their audience. 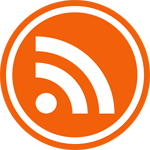 Set content alerts in BuzzSumo. Look at what you have. Do you have a blog? Ask if you can include a quote from them in a blog post. If you have a podcast, ask if you can interview them about what they're currently excited about - and make them sound really good. Should You Pay for Influencer Marketing? Offering a free sample, trial or even a gift in exchange for an HONEST review or reaction seems fair to us. They worked hard to obtain influence. The brands are benefiting. Why should they have to do it for free? If your customers are happy with what you are doing, look to them to provide honest feedback you can share online. You can even ask a series of questions to make it easier for them to do! Create better content that will go further. Try the free version of Buzzsumo and search for the most shared content to get some ideas of which titles are working and where they're being shared. Once you're hooked, try the pro version and check out the content analysis reports. You'll find out what types of content are best for your subject - and even how long your blog post should be for optimal sharing potential. Cool, right? If you are going to invest all that time in content creation, give yourself an edge. Use coupon code SuperHeroes and get 30% off your first six months of Buzzsumo Pro. Susan is the Business Development Manager at BuzzSumo. 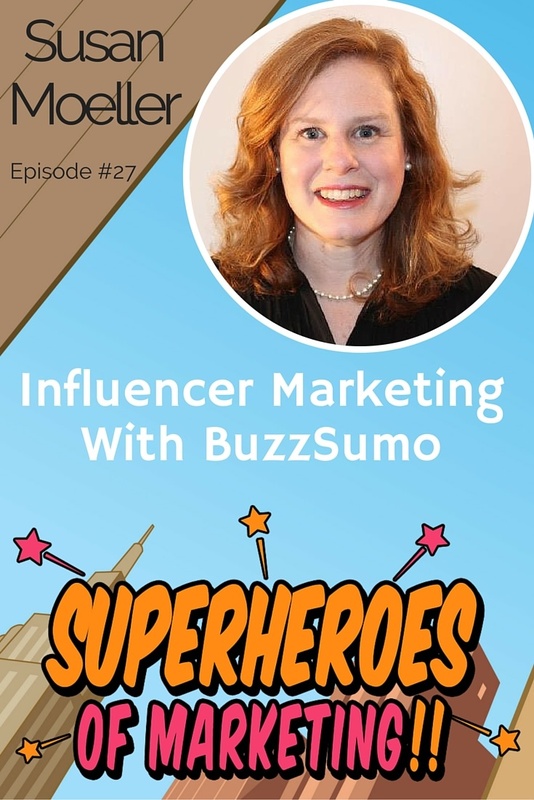 When she's no knitting, she's talking to people about their content marketing needs and helping them to see if BuzzSumo data would meet their needs and make their work easier. Hint: it probably will. We are “super” excited to hear from you. You can send any message you please in the form below, or Tweet us (Alisa or Kelly) anytime. We love the Twitter. Oh, and we watch hashtag #superheromarketing - so spread the word! What’s on your mind, oh most favorite of listeners? Did you love our last show? Hate it? Have a suggestion for a guest or topic? Do you want to have one or both of us on your own show? Whatever the case, get in touch, keep in touch, and don’t be surprised to hear your name on our show. Always with love, of course. Don’t forget to subscribe to our show and leave a review. Your honest feedback will help us get better, so thank you! Looking to reach OverGo Studio or Scalable Social Media? We’ll pass along your message, we promise. 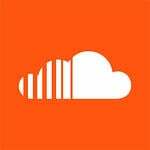 Interested in booking us on your podcast?